This statistic shows the results of a survey on the most popular Christmas decoration items in Sweden in 2014. 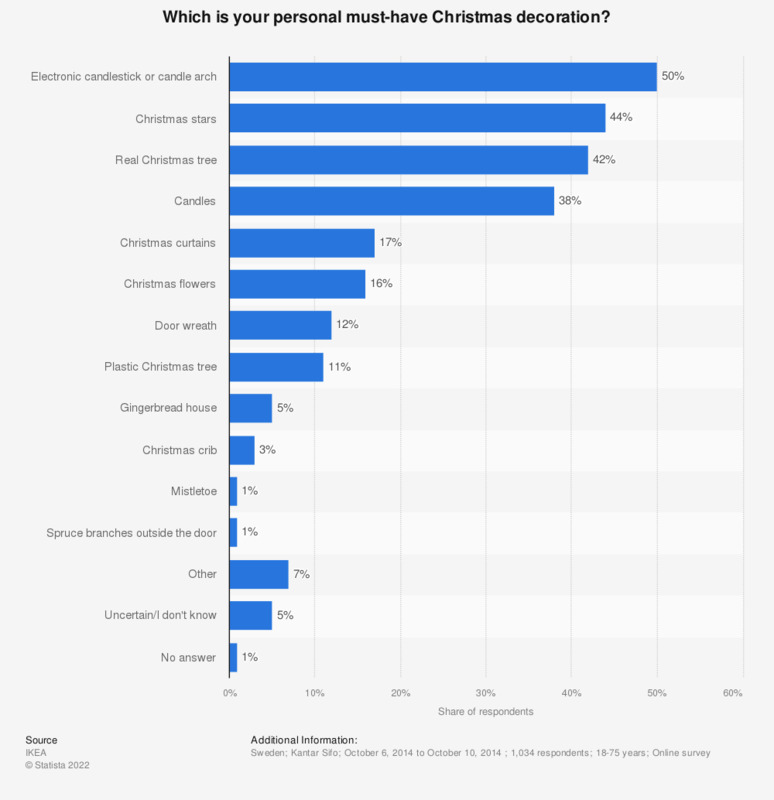 During the survey period, 38 percent of the respondents stated that candles are their personal must-have decoration item for Christmas. The original question was phrased by the source as follows: "Vad måste finnas hos dig för att det ska kännas som 'jul på riktigt'?"